I think the answer to that question is quite simple: Many senior managers in the company, and their shareholders, don’t understand the part of “NO” that doesn’t affect their bottom line. To be heard, “NO” needs to affect the bottom line. So, to help the more ethical staff in these companies win arguments in headoffice, there needs to be a clearer threat to the mining companies’ bottom line. So, here is how to do it…. Anglo American is not susceptible to public pressure in the way that a famous consumer brand could be. But since November last year, Anglo American became the majority shareholder in De Beers. This famous diamond company is not, in most countries, a famous consumer-facing brand. However, it is fast becoming a consumer brand in Asia. De Beers has partnered with the luxury group LVMH to develop the De Beers brand as standing for prestigious high quality, and is opening 6 stores this year in China. Although the United States is still the world’s largest diamond jewellery consumer, by 2015 it will be overtaken by China, India and the Gulf. Interestingly, recent market research shows that wealthy consumers in China are concerned about the environment and beginning to make connections to their purchasing. In Japan such concern, and associated consumer behaviour, is even higher. Would it be right to tarnish De Beers in China with the activities of its parent company? And would it be effective? Compared to other diamond companies, De Beers is doing a lot on its social and environmental impacts, particularly with the Forevermark diamonds that are traced to mines that are meant to abide by basic social and environmental standards. And in Bristol Bay, the mining companies are after copper, not diamonds. However, De Beers is effectively now Anglo American. And De Beers is a major profit centre for Anglo American, which makes it easier for Anglo to fund new projects like the Pebble Mine. If De Beers does well, Anglo does well, and thus Anglo can do what it wants in Bristol Bay and elsewhere. Over many years during the campaign against Nestle, people didnt want to buy a Kit Kat from a company that marketed milk powder to mothers with only dirty water to mix it to feed their babies. Kit Kats didnt kill babies. But babies were dying from the way the products of the same firm were being used. So, might people not want to mark something as beautiful as their engagement with a ring that co-finances ugly destruction? We don’t know if such a campaign would be effective, but it would make the campaigners’ criticisms more relevant to the board. 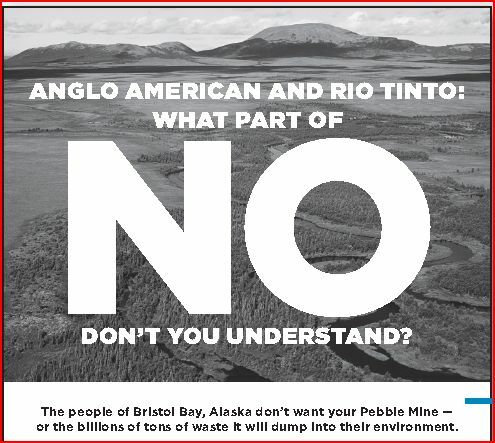 So, Bristol Bay campaigners, I reckon you should drop the ads in the New York Times and Financial Times. Instead, engage the elite social networks in Shanghai and Beijing, or start a viral campaign on QQ, and other networks in China… get famous Chinese film stars to quit their LVMH promotional contracts in protest at the potential destruction. In this strange new globalised world, even some Chinese consumers may come to the rescue of the Alaskan environment, as ultimately, we share one global environment. We should not assume people won’t care, and instead provide them opportunities to express themselves. In the end, the sustainability of the planet will depend more on Asian middle classes being concerned about the impacts of their consumption and savings on the world at large, than it will depend on the traditional Western middle class targets for ethical campaigning. Am stoked to be speaking at the world’s best sustainability festival this summer in Sweden. Once you go, you wont want to go to conferences again… and music festivals might even seem a bit has-been! World-leaders in sustainable enterprise, science, design, media and more; at a world-class summer music festival; with high-quality health and well-being experiences; using creative and collaborative facilitation; enabling personal action and social enterprise. FuturePerfect Festival 2012 rises from the water on 23-26 August, at Lillsved, on the island of Värmdö in the Stockholm archipelago, Sweden. Pack your paddles, dancing shoes, sunglasses and dreams for three incredible days and nights of inspiration, creativity, exchange, passion, and relaxation offering. This is for professionals and public, young and old, individuals and group, it’s the next stage of the conversation on living well without compromise – a celebration of potential and practical change. 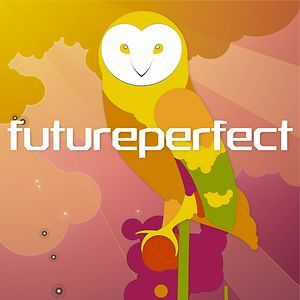 Lifeworth is pleased to be participating in making FuturePerfect. Get your organisation to send a group of you… its great inspiration.